It’s officially official. And I finally found someone with Publishers Marketplace access to send me the announcement that appeared there about Reckonings (which is being published under my pseudonym K.C. Tansley)! On to a cool bit of news, my editor (I will never tire of saying those two words) reached out to me and asked me to brainstorm new titles for Reckonings, my YA time travel murder mystery. They sent me a worksheet that I’ve been working on all weekend–I’m such a nerd. Anyway, I’ve got some possibilities, but I’d really love your help so I’m going to post my hook here and see what you guys think. I need lots of possibilities to submit to the publisher. If they like a title you suggested, I will make sure you receive a free signed copy of the book and author goodies. And I’ll do a Skype chat with you and anyone you want to invite. Forget what you’ve seen on Ghost Whisperer. Ghosts aren’t spirits waiting to cross over. If only it worked like that. Never heard a thank you from them. Ever. Because they aren’t like us. They are broken remnants of a human being. And they seek one thing: reckonings. 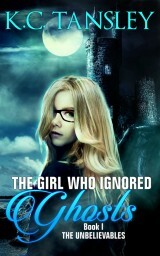 Kat Preston stopped believing in ghosts. Not because they weren’t real, but because they overran her reality. She learned to deny their existence every day. It was her only shot at a normal life. 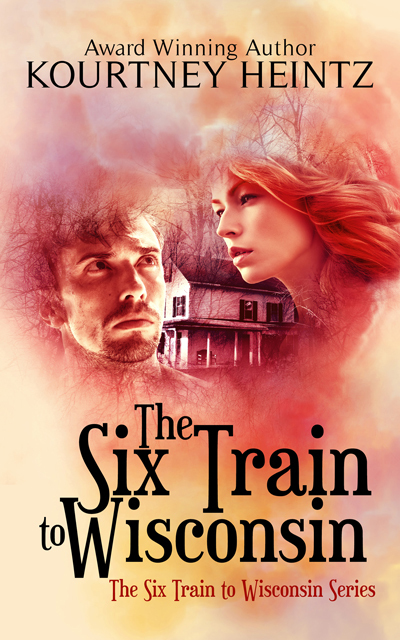 Until her junior year at McTernan Academy when a summer project investigating a 127-year-old wedding night murder mystery calls into question all the unbelievables—ghosts, spirits, time travel, curses, spells. Evan Kingsley, the research partner she nicknamed Satan’s disciple, takes a scientific approach to everything, which doesn’t allow for the unbelievables. But that doesn’t stop Kat from being yanked through a portal. Or Evan from following her. Or them from awakening a week before the murder with their souls trapped inside the bodies of two wedding guests. As if sharing a body with a New England Victorian lady isn’t hard enough, now Kat must rely on Evan to help piece together what happened on the wedding night before it happens again. Caught between trying to prevent the senseless tragedy and needing to get back home, can Kat do both? Any thoughts on possible titles? Toss anything you’ve got at me. 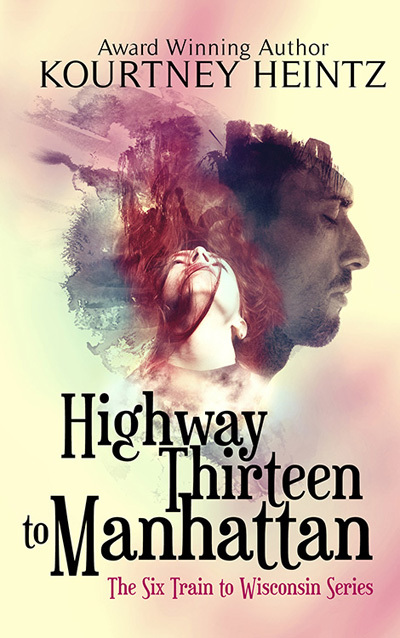 This entry was posted in Writing and tagged book title, Brainstorming, creating a book title, Harlequin E book, Reckonings, renaming your novel, YA time travel murder mystery. Bookmark the permalink. Titles are always a struggle! Good luck with it, sorry I can’t help. I like the play on wedding veil and veil of time. Thanks Sue! How about something simple but promising Kourtney like ‘Through The Portal’. Titles are not my forte. Some come to me easily; others I belabor for hours. I don’t have anything offhand, but I’ll keep it in mind. Sounds like a great premise! Nope, been pondering while I made a coffee with no luck. I have a short story called Reckoning, so thought that one was pretty good 🙂 Congratulations though! Character names, I have plenty, but titles, unless I’ve read the story, it’s more difficult for me. Sounds like a lot of good suggestions so far. Good luck, Kourtney! Thanks Sandra! Great suggestions there! Thanks. Titles are really hard. For some reason this book was the hardest for me too. Appreciate you mulling it over! I honestly think that if I ever finish a book and try to go traditional with it, I should hire her to write my hook and synopsis! I concur–she is a title generating guru! Way to go, Kourtney! Excellent news! Let me give this some thought, Kourtney. Have you considered doing a poll here on your blog? By the way — keep forgetting to mention this to you. I put your bookmarks out at our local public library branch. There is a container of bookmarks that sits near the computer pods, so I put the stack in there. Last time I checked, they were all gone! Thanks Christy. It’s a very ambitious mashup so that makes the title so hard too. Thanks for the cool suggestions–really appreciate it! In times of light and darkness. These are great suggestions, I really like the first one a ton too! This is a great idea. I’m having trouble titling my first novel. I may ask for suggestions on my blog when I’m ready. Was there a reason why “Reckonings” didn’t work? You could twist it a little, too, to be “Something Borrowed, Something Dead,” to pull in the possession and death pieces. But, that might require too much free association. Thanks Mayumi. It was a blast to write, but a ginormous pain to categorize and sell. I really like that suggestion too. I really like your twist too. 🙂 Hugs! “Toss anything you’ve got at me”. By the way , I think that the classical brief formula meaning : Adjective plus noun is almost infallible.. I am terrible with titles, even blog post titles! But I really like some of the suggestions everyone has come up with so far. Vanessa’s suggestion of “Something Old, Something Dead” is great. It’s weird because the next two books, the titles came so easy and so certain. This one was my first and I guess I was still figuring out how to be a writer. 😉 Thanks! I really like Vanessa’s suggestion too! Congrats. My editor always changes my book title so I won’t offer any suggestions and save you the pain and embarrassment. I really liked Reckonings. I’ll try to think of some more but for now all I can think of is The Uninvited. Congratulations – sounds like another great one! LOL. Me too. I really felt like it was the title. But I like your suggestion a lot too! Thanks! 🙂 I’ve got a couple weeks to come up with them. The book crosses genres and it’s really hard to get a title to encompass all that. Wow, there are some great title suggestions in these comments. The only thing that’s come to me is, Broken Remnants of a Human Being. That’s what struck me when I read the blurb! Your book sounds fantastic!